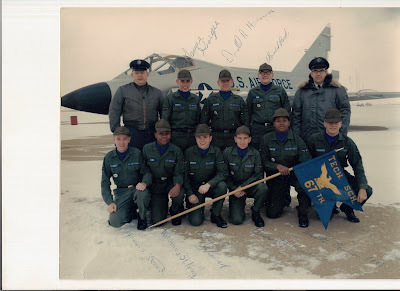 January 28th, 2009 will mark the 40th anniversary of my graduation from United States Air Force Aircraft Electrician Technical School at the great old Air Force Base at Chanute, Rantoul, Illinois. On this day all 9 Airmen in the photo graduated from the course. We got to choose our favorite instructors to pose with us on the left is T/Sgt English and the right S/Sgt Addis. We now were full fledged 3 level Aircraft electricians. To graduate we had to take a practical test in troubleshooting on an actual aircraft. That aircraft was an old B-66 in one of the hangars. To this day I remember my test.. The work order stated that the “Nose Gear Taxi light was inop” So armed with my tech Order Wiring Diagram for the B-66 I began my troubleshooting, completely beside myself and worrying the whole time I would be the only airman to flunk the test. But fortune smiled upon me that day and I found after many minutes of reading and tracing the wiring diagrams, taking voltage readings, going from cockpit to nose gear a few items, I finally found the problem… A POPPED CIRCUIT BREAKER BEARING THE NOMENCLATURE… TAXI LIGHT. I was so proud of myself! 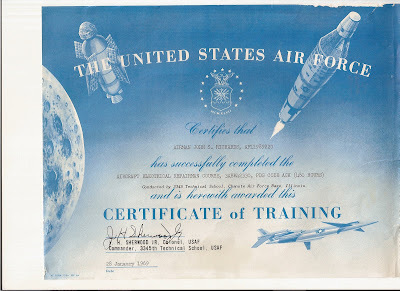 I now was a full fledged Aircraft Electrician.. Well not really.. A few months of training on the C-124 and a test for the Journeyman 5 level then I was an Aircraft Electrician, a job I truly liked. I remember shortly after this picture was taken we went back to the barracks and found our assignments on our bunks, almost everybody that graduated with me got the base they requested but I didn’t! I had put in for McGuire AFB, N.J. or Dover , AFB Del. 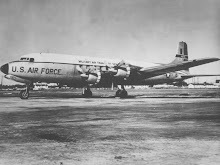 Close to home bases but I got sent to my first base at Kelly AFB, Texas and began my career working on C-124’s. It was a great assignment. From there it was, McGuire, Finally, Then Vietnam at Bien Hoa, Cam Ranh Bay and Can Tho,. After serving in Vietnam they usually said you got your choice of bases, I put in for all the Air Force bases in Florida I could find. And got assigned to Loring AFB in Northern Maine. Oh well it was fun anyway. Working on F-106 fighters in the 83rd FIS. A little strange at first because all I ever worked on was recip aircraft.. C-124, C-118’s at Kelly, C-7a’s in Vietnam, C-131, T-29’s at McGuire along with the C-141A’s my first jet. And then the F-106. The six was a big change. Anyway I really enjoyed my time working in the USAF.